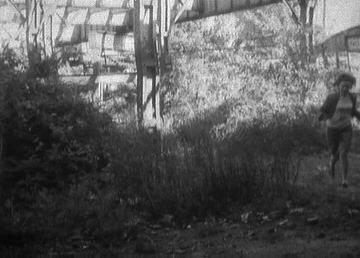 In the opening story of the second series of Doctor Who, the TARDIS lands in 2064 under a bridge on the north bank of the Thames, within sight of the Battersea Power Station, now with added nuclear reactor dome (what would Ken say about that?!). 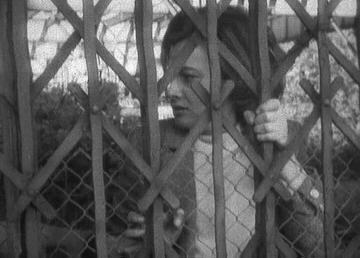 The city appears deserted, and when the Doctor (William Hartnell) and Ian (William Russell) go to reconnoitre the immediate area, Susan (Carole Ann Ford) and Barbara (Jacqueline Hill) are spirited away by two guerilla fighters to a secret hideout in a disused Underground station. 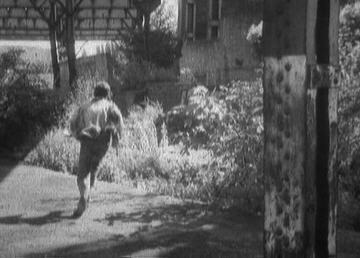 The latter is not identified, but since the first episode of "World's End" is a play on both the scenario and the area to the west of Battersea bridge, this seems as good a name as any. 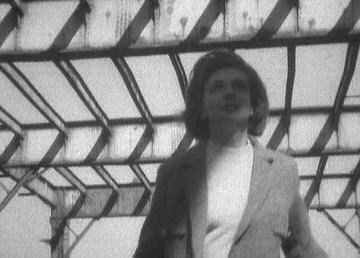 The location filming was carried out as the old Central Line "Wood Lane" site, just over the road from BBC TV Centre. The station had originally been built to serve the 1908 Franco-British Exhibition, prior to which trains terminated at "Shepherd's Bush" before running into the Wood Lane Depot. A new loop of track running around the Depot was added, allowing westbound trains to travel clockwise round it, before joining up with the original eastbound track and heading back into towards the City. Platforms were constructed either side of this single track, one for boarding and one for alighting, with a footbridge crossing over the line and linked to the Exhibition grounds by an overhead walkway from the main road on the east side of the site, and spanning Wood Lane itself. This walkway covered most of the northern part of the station, but left the eastern ends of both platforms open to the elements, which may be taken as an indication of the "temporary" nature of a station; it opened on 14/03/08, while the Exhibition closed on 31/10/08, although the site was used for other events in subsequent years. After the First World War, the Central line was extended eastwards, which necessitated the building of new sub-surface platforms at "Wood Lane," to the north of the original entrance. Eastbound trains would either terminate at the original platform 2 (platform 1 was decommissioned, although this was reversed when longer trains were introduced), or run on to the new sub-surface platform 3, followed by East Acton and the rest of the extension. Westbound traffic was served solely by the new platform 4, from which full trains could be to "Shepherd's Bush," while empty ones were diverted into the Depot. Ultimately, however, none of these adaptations was wholly satisfactory, and so a new station - named "White City" - was built 300m to north. 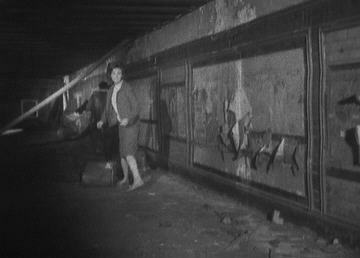 The new station opened on 23/11/47, "Wood Lane" having last been used the day before. A new westbound tunnel was later constructed, bypassing the old platform 4, although that alignment was retained to allow access to the Depots. 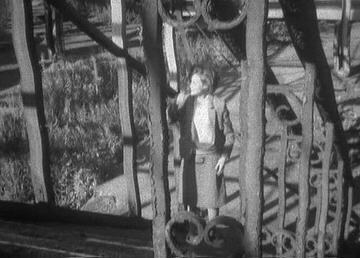 Sixteen years to the day after the opening of "White City," the first episode of Doctor Who was transmitted, and just under a year after that, The Dalek Invasion of Earth was screened. 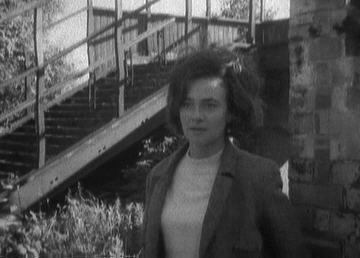 The location footage, shot in August 1964, made extensive use of the derelict "Wood Lane" station as well as the former Depot buildings. The site was was finally levelled in 2003 to make way for a new development, the Depot having been decommissioned some years earlier. Platform 3, however, can still be seen from eastbound trains, shortly before they reach "White City." 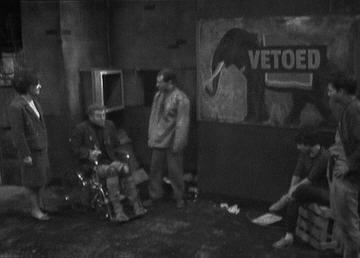 See also Daleks - Invasion Earth 2150AD [1966 feature film version] & Doctor Who: The Chase [22/05-26/06/65 BBC1 TV]. Looking west from Platform 1, with the overhead walkway above. 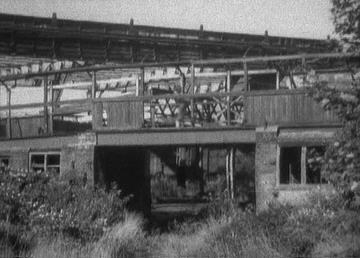 The boilerhouse of the former Wood Lane Depot Steps leading down to the sub-surface platforms. 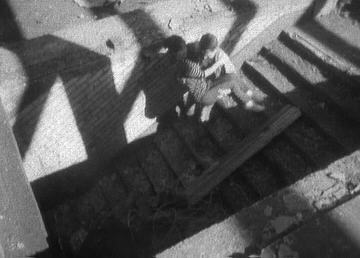 This appears to be the staircase leading up to the footbridge spanning the single loop-track, as marked by the overgrown area on the left. Sub-surface passageway, leading to platforms 3 & 4. 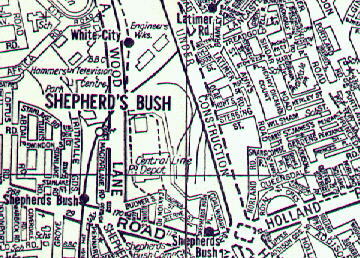 Contemporary A-Z extract, with the dotted denoting the Central line between "White City" and "Shepherd's Bush," as well as the loop-track. "Wood Lane" station was located at top-left corner of the square within the top of the loop. The empty circle on the Hammersmith & City line to the east indicates the disused parallel "Wood Lane (Exhibition)" station, which also opened in 1908, but closed - after sporadic use - following a fire in 1959.